If I had a dollar for every time I met a successful woman who, despite having a great life and career and the world at their feet, still lacks the confidence and self-belief that they are ‘worthy’ of more, I would be raking in a lot of extra income! So ok girls, why is it that as women, we seem to totally undersell and underestimate ourselves both personally and professionally? Why do we talk ourselves out of breaking free of our comfort zone to truly embrace every challenge and opportunity to achieve more? Does this sound familiar to you? I can certainly relate to having suffered bouts of serious self-doubt throughout my life and career! And, just like so many other professional women, there have been times I have questioned my ability and performance and failed to step up! I mean, I knew I was capable of doing it, I just didn’t BELIEVE I could do it! Is the reason we are not being seen, heard or noticed ™ by the people we want to impress, do business with or connect with because we lack the confidence to put ourselves out there? Well according to research the answer is YES! There is a vast confidence gap between men and women, with women themselves often lacking the self-belief and confidence that they are ready to put themselves forward for a promotion or scale up their business. Just like so many other professional women I have worked with over the years, I can relate! Despite my successes, there have been many times I have questioned my ability and performance throughout my career and failed to step up! 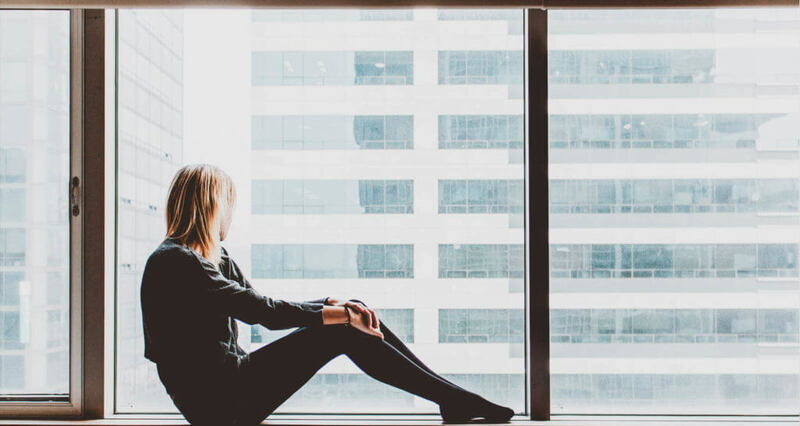 So as a ‘woman in business’ for over 30 years, I hesitate as I ask this question, but as women, are we sabotaging our careers with our lack of confidence and self-belief? So here’s the deal. The facts are that even though women in Australia have more employment opportunities and are more educated than ever before, in virtually all sectors of the workforce, women are still under represented in leadership positions. In fact, even though more women than men assume entry-level positions in organizations, most senior management roles are still fronted by men. So, as women are we our own worst enemy when it comes to presenting ourselves with the confidence, energy and the leadership presence required to get to the top? In fact, as women, we often wait until we have gained the experienced and competence before we feel confident to put ourselves out there, whereas men often feel confident before they have attained full competence. You don’t have to be a rocket scientist to realise that the way men and women perceive ourselves is fundamentally different. I mean, we get it right? What women consider as being thoughtful, careful and cautious in a man’s world is often perceived as having a lack of confidence and presence. And, as both traits are closely linked to success, as women, it is essential we step up, take control of our insecurities, get used to feeling nervous and get on with succeeding anyway! So how do you know when you are sabotaging your own career and life opportunities? Here are a few tell-tale signs! So, let’s get down to it. How do you know when you are sabotaging your career and life opportunities? Here are a few tell-tale signs and the cure! 1. The Problem: You underestimate your opinions, decisions and expertise. The Cure: Find your voice! You have a story to tell, you have a mission and purpose you must share and it is part of your key to success. Apart from your skills and expertise, your story is a part of your credentials and you should take inspiration from it and should share it! By finding your voice you will find your confidence and start to influence others and make a greater impact. If you truly want to be heard, and to change and influence others, you need to go beyond straightforward communication. The key to really getting people to listen to your opinions and decisions is to touch them on an emotional level. If you can do this and embrace it part of your professional persona and ‘personal brand then you will change peoples perceptions of you as a leader. 2. The Problem: You wait until you are 100% ready to tackle a new project or assignment with perfection. The Cure: Learn to back yourself! If you are addicted to perfection or are waiting for your stars to align then you will miss out on golden opportunities! It is easy to get swept up by the fear that we just aren’t good enough, so it’s time to realize that perfect doesn’t exist and perfectionism is an unconscious tool for self-sabotage! 3. The Problem: You underestimate your capabilities and qualifications. The Cure: The truth is, as women, we tend to underestimate our performance and qualifications. So, the cure is to just BELIEVE! Believe in your experience, skills and expertise, believe in your leadership style then get into the practice of owning it! Your capacity to succeed is only restricted by your own limited self-belief. So, own your story, own your credibility, build your confidence and just go for it! Confidence is attractive and it changes your energy state! You will vibrate at a different level and become a magnet for opportunity! 4. The Problem: You hesitate to step forward for a promotion as you don’t feel you are ready or quite competent enough. The Cure: Research shows that compared with men, women don’t consider themselves as ready for promotions and generally underestimate their abilities. So, to step up, you may need to push yourself to go outside of your comfort zone and take a step forward while you still have doubts about your abilities. This is where a coach or mentor can come in handy to help and encourage you to act and take on new challenges! Remember, an athlete doesn’t become a champion without pushing themselves out of their comfort zone and challenging themselves to achieve greater success! 5. The Problem: You don’t believe you have what it takes to be a leader in your field. Women often feel they are surrounded by people who are smarter and more influential than them and feel that they do not have what it takes to be a leader in their niche market or industry. In fact, far fewer women than men are entrepreneurs because women are generally more afraid of failure than men. The Cure: What you need is a constant drip of self-confidence! Set yourself bite-sized goals in your plan for success. As you accomplish each goal, it will inspire confidence and you will gradually build up your assertiveness and start to feel comfortable speaking out. Your fear of being not deserving of a leadership position will diminish and you will start to feel confident in your ability to become highly respected, valued and authentic leader in your field. The Ultimate Cure! Greatness without starts with greatness within! The first step for any business woman of today who wants to be seen, be heard and be noticed ™ in both life and business, is to set a about crafting a personal brand you can leverage from, and one that will help you achieve the personal and professional growth you desire. Developing your personal brand will help you to overcome many of your self-sabotaging habits and increase your energy, presence, confidence and charisma!